Having a runny nose isn’t a cool thing. You always find yourself sniffling and searching for a box of tissues on hand. And when things get worst, blowing your nose isn’t just the solution. Good thing we have listed down 9 simple ways to get rid of a runny nose. So whether you are dealing with an onset of cold or seasonal allergies, we present here tips and remedies. You can rely on them to combat the excessive drainage from your nose. Before we talk about it, let us first explain what a runny nose really is in the first place. Are There Simple Solutions To Get Rid Of Runny Nose? It occurs when there is an increased mucus in a person’s sinus and nasal passages. Its medical term is “rhinorrhea” and some of its common causes include common colds, allergic reactions, bacteria, and sudden changes in the weather or a sinus infection. 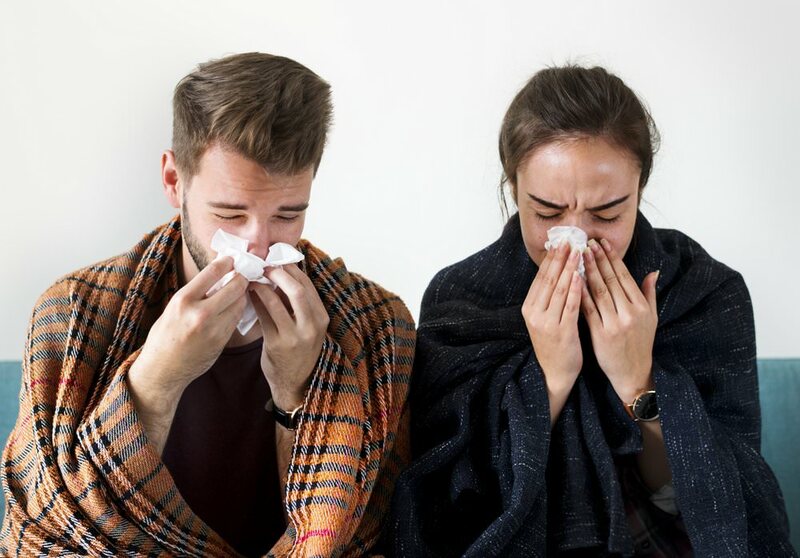 Other causes of a runny nose include unhealthy environment, dust allergy, inappropriate nutrients, and emotional feelings. Moreover, if not treated timely, a runny nose can potentially lead to serious problems such as earaches, headaches, and coughing. Luckily, yes. There are simple yet smart ways to get rid of this annoying problem. 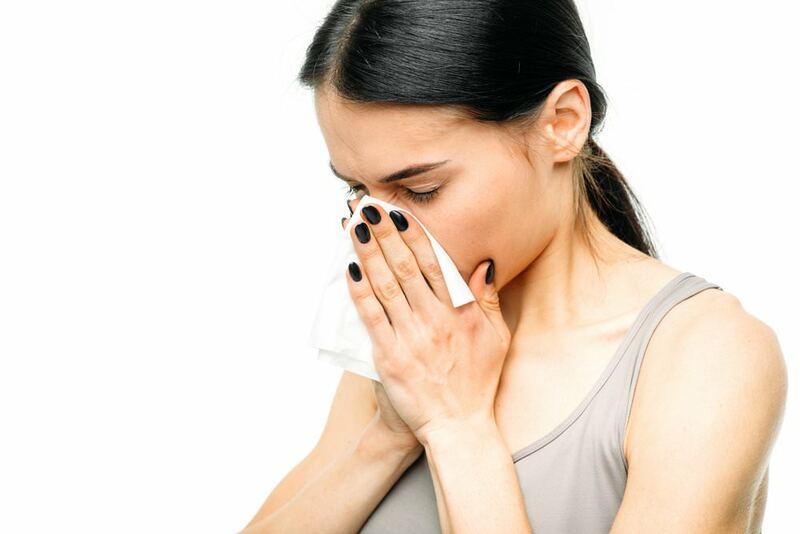 Here are over-the-counter medicines for a runny nose and different types of home remedies. Ginger is one of the efficient and inexpensive ways to get rid of a runny nose. It contains antioxidants, antiviral and antifungal properties which are effective in relieving various symptoms of a runny nose. Chewing a small size of ginger every day can help boost your immune system and helps alleviate your runny nose quickly. 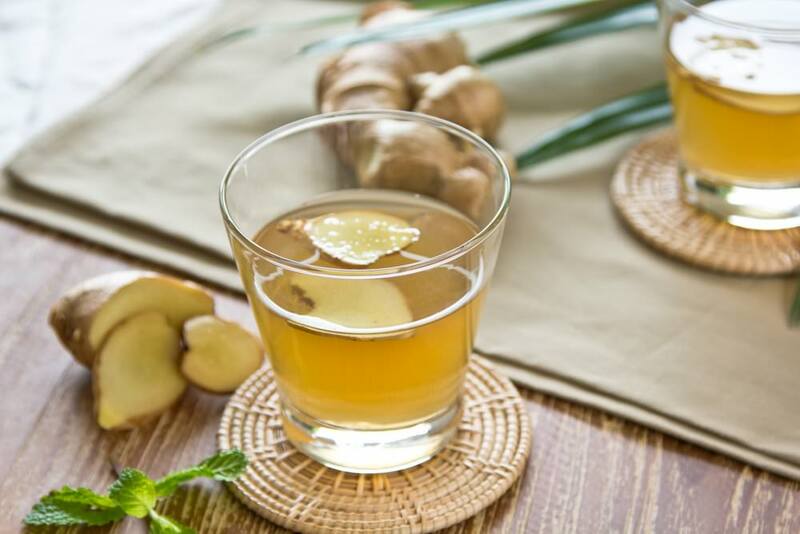 In addition, cut thin slices of ginger roots and put it in boiling water to make a tea. Add honey for taste. Drink the ginger tea for about three times a day. Whenever you go to sleep with a runny nose, do not use a pillow. Instead, use a big towel, roll it around and then place the towel under your neck. Also, you may try to position yourself this way: Prop the head up and then elevate your head for about 10 inches. It will help your nasal discharge drain instead, run down your throat which usually results in a much longer cold. 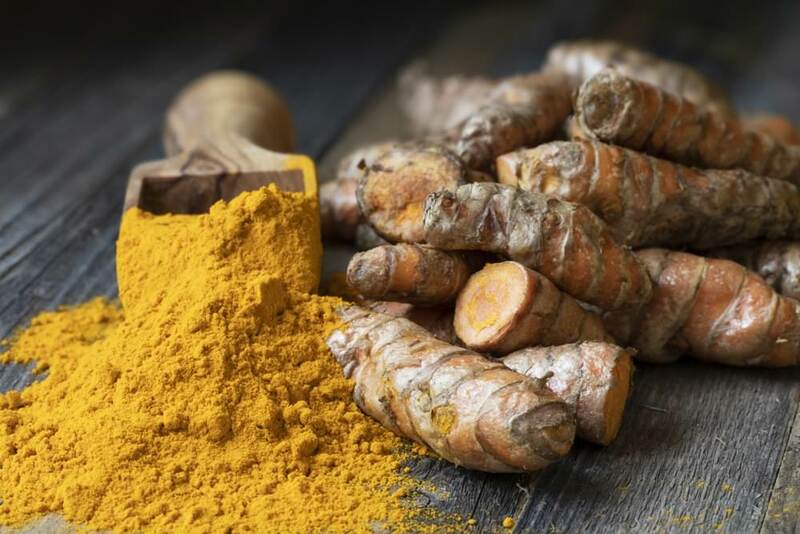 Aside from ginger, one of the most effective antidotes for different health conditions including a runny nose is turmeric. It contains antioxidants as well as antiviral properties which are proven to treat a runny nose and colds. There’s saline nasal spray or drops available in the market or over-the-counter- medicine stores. To use it, dissolve a ¼ teaspoon of salt into two cups of warm water. Sniff it up using a suction bulb. Do it 3 to 4 times a day to help stop your runny nose and breathe easily. Sit in the bathroom while the shower is running. Breathe in steam from a bowl of hot water. You may also inhale the warm steam coming from the shower tub to help unclog your nose and kill the viruses inside your nose which causes your nose to drain. 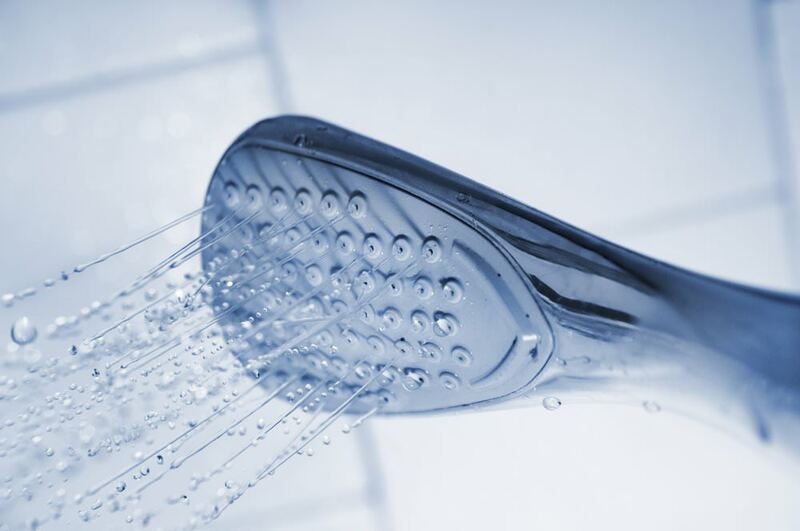 For a more efficient way, let your bathroom steam up before hopping in. Spend a few more minutes loosening up that congestion. Since a runny nose is also caused by extreme dry or cold weather, using a humidifier can help. It restores the moisture in the air in your home which helps keep the nasal passages comfortable. If your runny nose turns into congestion, using a humidifier in your room just before bedtime can help clean out your sinus so that you will be able to wake up smelling the fresh flowers bloom. Like garlic and turmeric, mustard oil is also effective in combating runny nose. Aside from antiviral and antibiotic, it also contains antihistamine which is a good remedy for a runny nose. 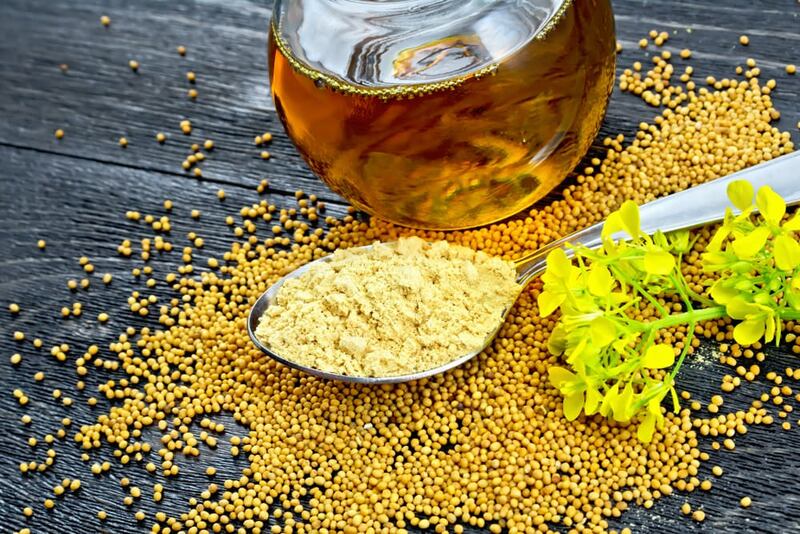 Furthermore, combine 2-3 tablespoons of mustard oil and one tablespoon of caraway seeds. Boil it and inhale the steam. The firm aroma of the mixed mustard oil and caraway seeds can help warm up your respiratory system. It helps provide instant relief from an annoying runny nose. You may do it twice daily. Most non-prescription drugs help ease a runny nose which is available in your drug store. However, it is important to use the right type to ensure that no further damage occurs. Also, it is essential to consult first with your doctor if you also have a history of other health problems aside from a runny nose. You may search for over-the-counter medicines which are proven to be effective in getting rid of a runny nose. Basil – Chew 3-4 basil leaves right before eating your breakfast and going to bed. Add five cloves of basil and ten basil leaves to one cup of water. Add some sugar. Boil and drink. Eucalyptus oil – Combine seven drops of eucalyptus oil, four drops of lavender oil and peppermint in a large bowl of water. Boil and lean over the bowl to inhale the scented steam. Do it twice or three times daily. You can also put a few drops of eucalyptus oil on a handkerchief and inhale it throughout the day. Thyme – Add a few tablespoons of dried thyme in boiling water and inhale its vapor. 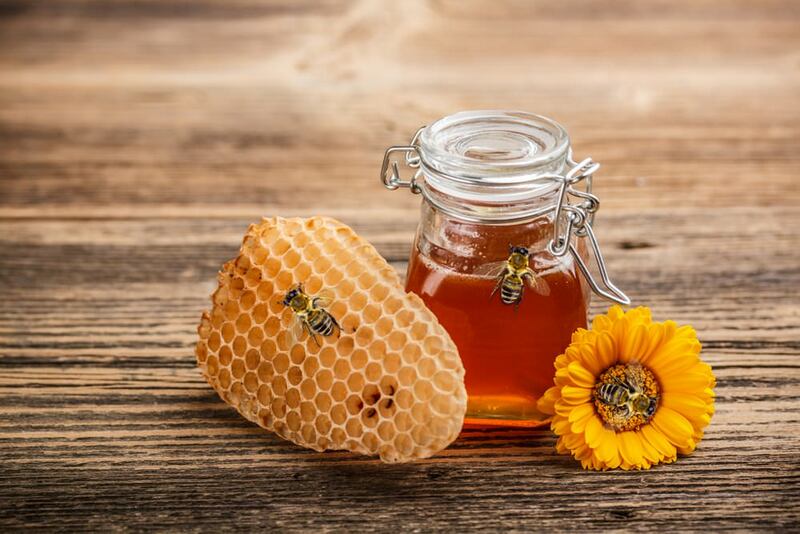 Honey – Mix 2 tablespoons of honey and a pinch of cinnamon powder. Add ½ tablespoon of lemon juice. Drink twice daily. Also, add two teaspoons of honey in a cup of warm water. Drink twice every day. One more – You may also combine three drops of lemon juice and one tablespoon of honey in a glass of warm water. Drink while it is still warm. Do it twice every day. Finally, sour fruits such as lemon, lime, oranges and pineapple also offer great relief from a sneezing and runny nose. Make it a habit of drinking fresh fruit extract on a daily basis. Eat at least one green chili every day. Always massage your nasal area. Try to eat spicy foods to help get rid of stuffy nose. In addition, make it a habit of drinking lemon tea. As much as possible, stay indoors when it is high pollen season. Regularly change your pillowcases and mattress covers. Keep pets out of the room. Regularly replace your cabin air filter. Vacuum carpets regularly to avoid dust mites. Above all, wash your bedding with hot water every week. In conclusion, having a runny nose can be an annoying and painful experience. Try to follow these tips and see for yourself which method is useful for you. Do you have other tips to share? We would love to hear your thoughts – write your comment below.